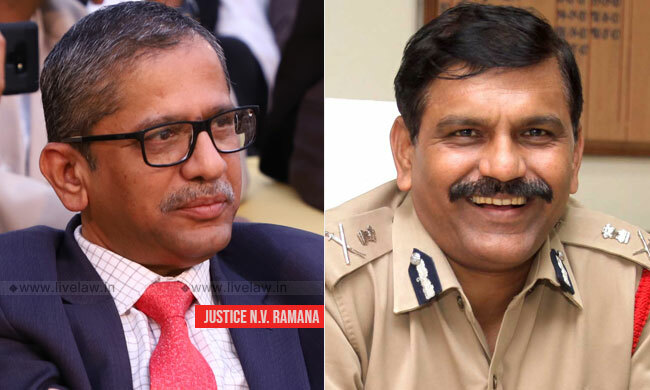 After CJI Gogoi and Justice Sikri, it was the turn of Justice N V Ramana today to recuse from hearing the plea challenging appointment of M Nageshwara Rao as interim CBI director. Saying that he has previously attended Nageshwar Rao's daughter's wedding and that he is also acquainted with his son-in-law, Justice Ramana sought to recuse from hearing the petition filed by NGO Common Cause and RTI activist Anjali Bhardwaj. This announcement led to the disappointment ot Dushyant Dave, senior counsel appearing for the petitioners. "First, the Chief Justice, then Justice Sikri...Everybody is recusing...Should we go to the Delhi High Court? ", Dave remarked. "Please understand. If it was not so, I would have definitely allowed...I will pass an order and request the Registrar to place it on board as per the Chief Justice's directions...", Justice Ramana responded. "Can I request you to have it listed tomorrow? ", urged the Senior Advocate. "The listing is the Registrar's choice...", observed the judge. On January 21, CJI Gogoi had recused from hearing the petition, citing the reason that he was part of the High Powered Committee for selection of next CBI Director. The matter was therefore assigned to the bench headed by Justice Sikri, the next senior judge. Later, Justice Sikri too recused from hearing the petition on January 24. After that matter was assigned to the bench headed by Justice Bobde, the third senior judge. However, it got assigned to the bench of Justice Ramana, the fourth senior judge, as Justice Bobde is unavailable due to medical leave. It may be noted that Justice Sikri was part of the High Powered Committee which took the decision to remove Alok Verma as CBI Director, two days after he was directed to be reinstated by the SC. Then the Government appointed Nageswara Rao as interim Director. Though, Dushyant Dave, senior advocate appearing for the petitioners expressed that they have no objection in Justice Sikri hearing the petition, he said "I have my predicaments". Justice Sikri had got entangled in controversy, after news emerged that he was being nominated by the Centre to the Commonwealth Secretariat Arbitration Tribunal at London, after his retirement in coming March. Since the news broke immediately after the Committee meeting of January 10, it led to a lot of speculations. Following this, Justice Sikri announced revocation of his consent to be nominated to CSAT. Verma submitted his resignation on January 12, after the Committee's decision to remove him as CBI Director. The Committee comprising PM Modi, CJI Gogoi and Leader of Opposition Mallikarjun Kharge is yet to decide on the next CBI Director. The petition states that the appointment of Nageshwar Rao was not made on the basis of recommendations of the high powered selection committee, as mandated under the Delhi Special Police Establishment Act. The order dated January 10, 2019 stated that the Appointment Committee of the Cabinet has approved the appointment of Rao "as per the earlier arrangement". However, this earlier arrangement i.e. Order dated October 23, 2018 making him interim CBI Director, had been quashed by the Supreme Court on January 8 in the Alok Verma case. However, the government still invoked its earlier order which had been quashed, to once again make Nageshwar Rao Interim Director of the CBI, contended the petition. RTI activist Anjali Bhardwaj is a co-petitioner in the PIL, which also alleges that the Government was not following a transparent process in the appointment of CBI Director. As per the petitioners, the Government cannot give charge of CBI Director without the recommendations of high powered committee. So, the Government order giving him charge of CBI Director is illegal and against appointment procedure under Section 4A of DSPE Act, the petition states. It says : "The Government of India has attempted to stifle the independence of the institution of the CBI by appointing the Director of the CBI in an arbitrary and illegal manner. Further, the lack of transparency in the process of appointment prevents any meaningful public scrutiny and allows the government to exercise undue influence in the process especially at the stage of short-listing of candidates, thereby undermining the institution of the CBI". Apart from seeking to quash Rao's appointment, it also seeks directions for laying down specific mechanisms to ensure transparency in the process of appointment of the Director of the CBI. The petition states that in December 2018, the government initiated the process of appointment of Director, CBI as the tenure of Alok Verma was set to finish on January 31, 2019. In December 2018,Anjali Bhardwaj filed various applications under the RTI Act seeking information on appointment process. "In an attempt to obfuscate and withhold information about the appointment process, the government responded to each of these RTI applications with the same summary response", the petition says.